Plant material that has previously lived through the winters may die, so hopefully you have already covered them up. Its also a good time to look at the trees that may be near the electrical service drop. Look for limbs that have drooped too close to the service wire. This is not the time to trim them safelty, but you should take not and trim them in early spring. If they are putting excessive stress on the service line you should call a professional. Also look at my article on extended vacations. If that wasn’t enough for you, here are the regular winter items to look at. 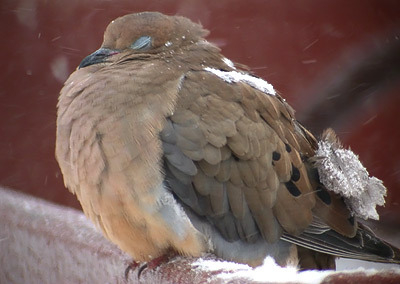 Take care and stay warm. Heating/Cooling-Air Filters: Assuming you have a forced air system, change the filters as we enter the heavy heating season. Roofing-Looking For Leaks: Winter rain and snow can cause the most marginal leak to show up, If you can still get on your roof, give it a look. 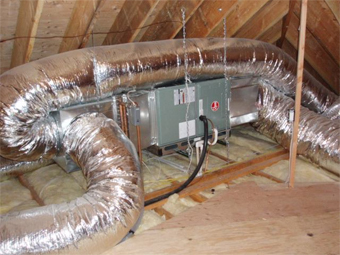 Attic Inspection: Making a general inspection of your attic is important. Look for rodent tracks, damaged electrical wires and importantly vents and stacks. HVAC Indoor Unit: Besides the air filter, look at the general condition of the unit. If the unit uses natural gas look for a good strong flame. If you smell natural gas anywhere, address it immediately. Set Back Type Thermostat: If the battery is a year old, replace it. Winterize Plumbing: Wrap exposed pipes, fixtures and drain down the automatic sprinkler system. Caulking and Sealing Windows and Doors: Look at the edges where the windows and doors connect to the house. Ensure the caulk is in good shape and add caulk as necessary, indoors. (leave the outdoor caulking till Spring). Tile Grout and Caulk: Take a look in your bathrooms for separation in the tile grout and around the tub and shower. Winter heat will cause those materials to shrink. This is a great time to reapply caulk or grout in those areas. Gutters and Downspout: Clean you gutters of leaves and debris. Flush them with water to ensure they flow freely. This is as much a fall issue for the colder climates, but in the warmer states we are still seeing leaves fall. Look for a new article on this one next year. As you may know, I hate gutters, but I found a new product that may reduce my dislike. I will order some of the product and install them on another house that has lots of tree to see if they work. 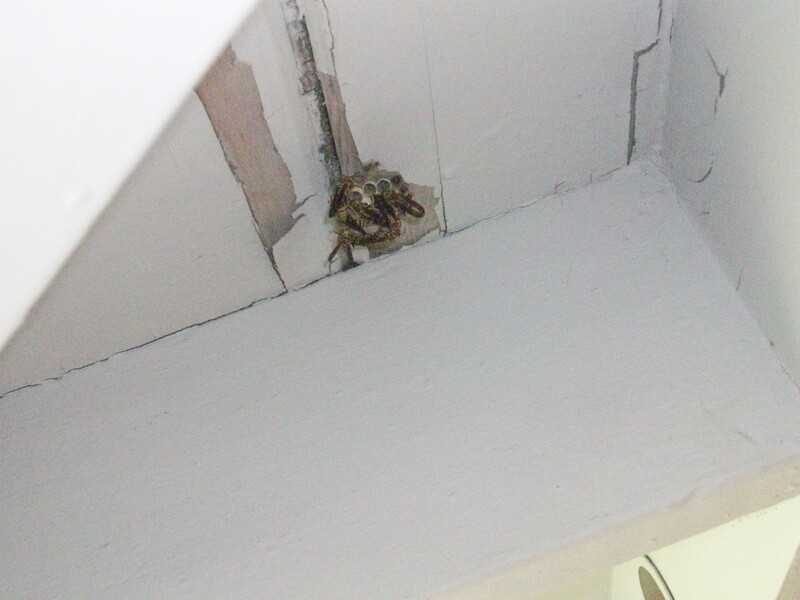 Exterior Inspection: Walk around the house, look for those wasp/bird nest and remove them with a broom. At this time of year you will have little resistance from them. Seasonal Power Outages: Winter storms can leave many without electricity and other essential services. Review these items for safety sake. You are currently browsing the Homeownerbob's Blog blog archives for January, 2017.